A few weeks ago, I received feedback on my novel from from several readers, including one high-powered literary agent. And after taking the time to weigh and synthesize their feedback, I decided to tweak my novel for two reasons. First, I want it to reflect my best work. And second, I want to make it as easy as possible for an agent to sell. But now that I’m deep in the tweaks, they’re taking longer than I expected. 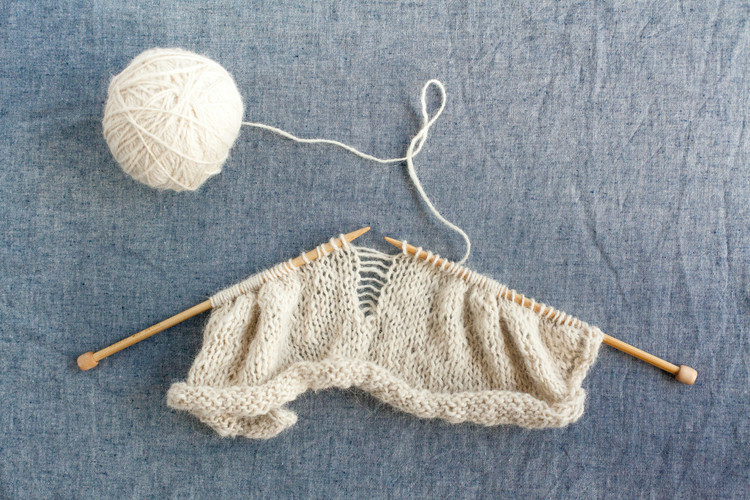 The process reminds me of what it’s like to knit something intricate, and discover after a few rows— or worse, a few feet— that you made a mistake. There’s nothing quite as agonizing as pulling out row upon row of knitting. I once spent an entire afternoon unraveling and reknitting a pattern only to discover than I had missed an even earlier mistake. The challenge with rewriting a mystery is that it’s quite the little tapestry. You have to plant clues without calling attention to them, and introduce red herrings without making it obvious that you’re trying to send your reader down the garden path. It’s sort of like baking a cake only to realize you left out an egg. I wouldn’t know how to fix that cake. But tweaking my novel is feeling a lot like baking a soufflé because it’s one delicate operation. The good news is that we’re talking about tweaks, not major surgery, because I took the time to get my plot (mostly) right. If I hadn’t, I’d be reliving a tough lesson I learned when I was about 16. I was taking a life drawing class at the Brooklyn Museum of Art with my friend Suzy. I never thought of either Suzy or myself as artists. But she was a dancer, so she had a deeper understanding of the human body than I did. Our instructor, Chuck (his name is still seared into my memory because I had a painful lesson to learn), had us do a five-minute sketch of a young woman. I drew an outline but something didn’t feel quite right. So I used every artistic technique I knew at the time to improve it. When I glanced over at Suzy’s sketch, it seemed overly simple. Poor Suzy. I hoped she could stand up to Chuck’s critique. Phew! Crisis averted! Bullet dodged! OMG. Talk about wishing a hole would open up in the floor and swallow me. 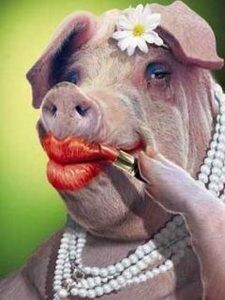 Right then and there, I learned the hazards of putting lipstick on a pig. And I’ve been a little paranoid about repeating that mistake ever since. Good grief. There it was: the answer to the mystery. I changed the theme, wrote another few drafts of the screenplay, and reached the quarterfinals of the Academy Nicholl Fellowships in Screenwriting (a career milestone for new or even experienced screenwriters). Thankfully, I did due diligence on my novel’s armature and outline before drafting pages. I didn’t get it 100% right but I certainly don’t have to start completely over. So back I go to the proverbial drawing board to unravel some of the tapestry I wove and put it back together in a way that’s just as beautiful but more solid. Thanks this week go to Chuck for teaching me a hard-learned lesson. I have no idea what became of him or whether he was a successful artist in his own right. But thanks to what he taught me, I plan to persevere in my rewrite without chiaroscuro, without lipstick, and with just enough paranoia to make sure my theme supports my plot, my plot supports my story, and my readers are thrilled with the result.